Birthday parties can be a lot of fun and they can also add up. If you are looking to throw an inexpensive party, but want some great bells and whistles, the CSRA has some great options! Check out some of the birthday parties below if you are trying to stick to a budget. Skateland of Augusta offers a basic skating party for $150. The party can be up to 10 children. Unlimited soda while in the Birthday Party area. Ice cream cups for each paid guest. Cupcakes for each paid guest. All guests receive their regular skate rental free. 1/2 price pass to come skating another Saturday or Sunday afternoon and more! The Augusta Greenjackets offers a Little Caesars Birthday Package for $150! The party can be up to 10 children. 1 Hour pre-game party in the Fun Zone with a personal attendant. 10 Reserved Seat Tickets ($8 per additional ticket). 3 Little Caesars Cheese or Pepperoni Pizzas. Unlimited Access to the Fun Zone all game long. First Pitch & Autographed baseball for the birthday child. Happy Birthday sung on the Dugout in the middle of the 5th inning. Micheals Art Store offers a Birthday Package for $120! The party can be up to 8 children. Team Member to lead craft activities. Your choice of 13 themed parties. Flanigan’s Ice Cream offers a birthday party for $125! The party can be up to 10 children. Up to 10 kids, above 10 kids $8 a child. Citizens Park Sprayground/Splash Pad is available for rental for $100. The Sprayground is available for rentals on Saturdays and Sundays from 9:30 am to 12:45 pm. Rentals will be before regular operating hours and last for no longer than 90 minutes. The Family Y offers a birthday party packages for members and non-members. The locations below offer parties for members between $125 – $150! The party can be up to 20 children. Chuck E. Cheese offers a birthday party package for $13.99/per person! 30 Play Points per child. 2 slices of a 1-topping pizza and a drink with free refills per child. Looking for More Birthday Ideas? 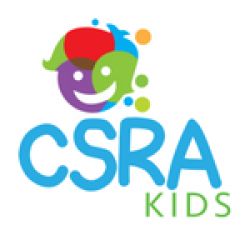 Check out the CSRA Birthday Guides!